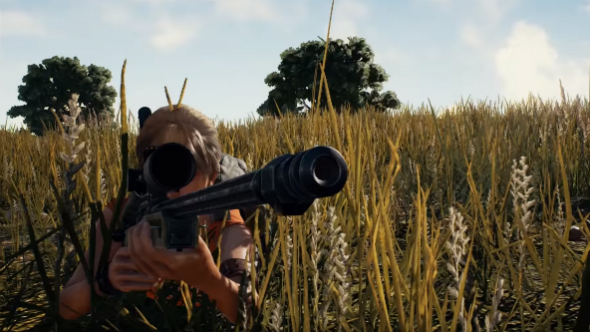 Update July 18, 2017: We missed it last week because we were too busy hiding in a bush, but this week’s PUBG highlight video is a good’un. If you’re a fan of vehicular combat, longshots, precision grenade throws, or daft glitches, you’re going to be catered for. Practise your aiming with our list of the best FPS games. There’s something about PUBG that makes it almost as fun to watch as it is to play. The survival sandbox its large-scale battles take place in are just perfect for creating funny moments, each outburst of violence providing the punchline to an off-the-cuff remark. Check out this week’s highlights in the video, from dearsomeone, above. Original Story July 4, 2017:As is now a weekly tradition, YouTube user ‘dearsomeone’ has put together a highlight reel for the best moments from PUBG this past week. Collecting footage from some of the most popular streamers (who also happen to be amazing PUBG players), the video will give you quite the inferiority complex. The video kicks off with some of the best plays, with people murdering folk mid-air aplenty. It’s kinda mesmerising to watch them dive from rooftops and twist, peppering some poor sod on the way down. It’s not all about celebrating incredible players, though – there are also plenty of bloopers to lighten the mood. From weird Early Access bugs to vehicular mishaps, there’s plenty to see. After that, we’re back to people being amazing again, with some unbelievable long shots. Some of them are at moving targets that are barely a dot on the screen. Some of them are in vehicles. I mean, who are these people who are winning a game with 25 kills? Please stay away from me. Anyway, have a watch of the video above, because it’s great.